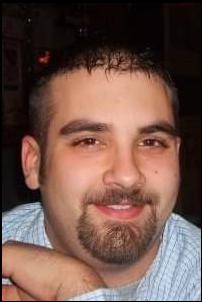 Ryan F. Clayton, 35, passed away January 27, 2019. Born and raised in Northeast Ohio, he was self -employed in the construction industry. His favorite job for many years in the off-season, was plowing snow and he took great pride in the safety of his customers. Ryan is survived by his parents, Richard and Patricia Clayton; father, Arthur McCauley; sisters, Cara (Blake) Edwards of Munroe Falls, Danielle Marie Pieronek of Bedford (James Glinski); “honorary sister” and long-time friend, Stephanie Pieronek of Northfield; nephew, Blake Edwards, Jr.; nieces, Gianna Marie Ekl and Ellianna Lynn Therese Glinski. He is also survived by many devoted friends. Everyone remembers Ryan’s smile and laughter, which will be sorely missed. He was the most loyal friend anyone could have and Ryan changed many people’s lives by having been a part of it. He was devoted to his pets Koda and Chicken Wing which replaced the children he so desperately wanted. To Ryan, family was everything and many of his friends were treated like a part of the family. Anyone who knew Ryan knows he would rather have everyone celebrate his life, so private funeral arrangements have been made. A memorial celebration is tentatively scheduled for Sunday, February 10th from 2 pm – 5 pm at the Northfield VFW Post 6768, 8584 Olde 8 Rd, Northfield, OH 44067.